I recently did a photo shoot for Real Industrial Edge Furniture by Artisan and Furniture Maker Justin Real (Web: JustinRealFurniture.com). 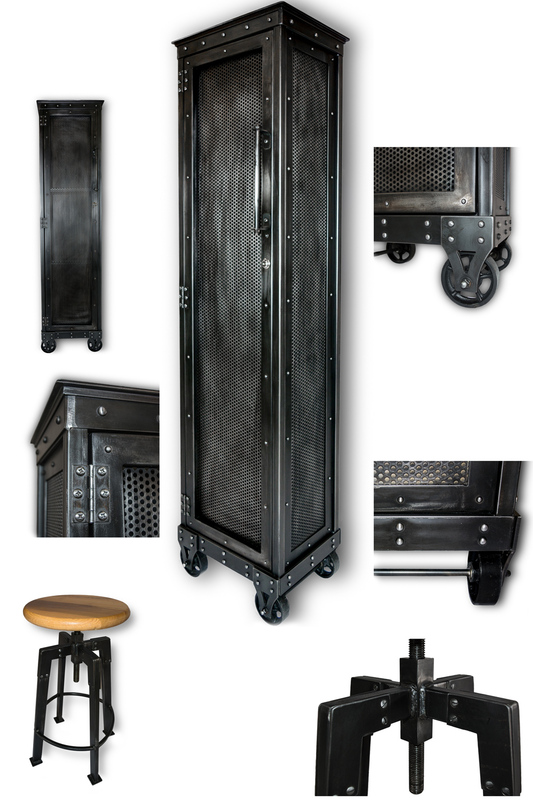 A custom Industrial Chic Locker and an Industrial Chic Stool on a white background. White backgrounds for products are great if you want to display products distraction free. The bigger the product, the more challenging is the use of white backdrops.